Albania, Kosovo, North Macedonia, Serbia and Montenegro are expected to join forces and build a joint cooperation structure which would speed up their integration in the European Union. 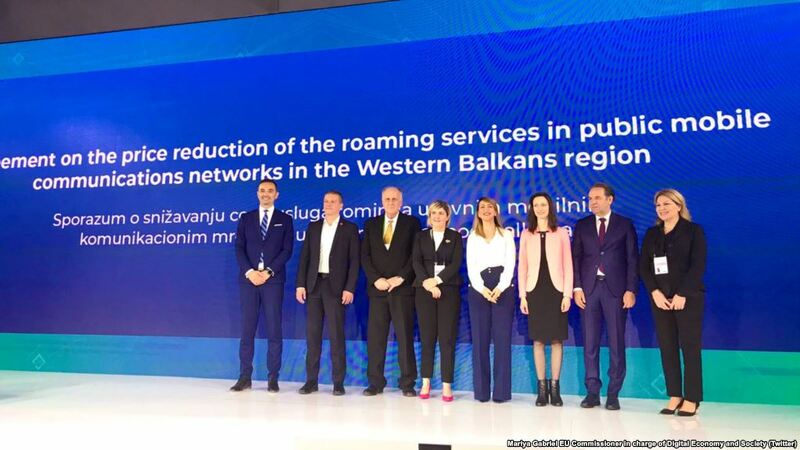 The roaming deal that the countries of the region sealed will be followed by other challenges, declared Majlinda Bregu, general secretary of the Regional Cooperation Council from Belgrade. “The RCC is honoured to be the one that facilitated this entire process, but also aware that this is only the beginning. There is a lot of work ahead of us, the next one being the agreement on mutual recognition of professional qualifications for doctors of medicine, dentists, architects and engineers that is to be signed this July at the Poznan summit. We are committed to this, to regional cooperation that is a true driving force of changes for the Western Balkans”, Bregu declared. By signing the regional roaming agreement, governments in the region sent a clear message that they were committed towards European values and that they’re aiming to apply these values in the process of EU integration. Expert on European Law, Llokman Murtezani told IBNA that countries of the region must also strengthen economic cooperation to give way to a joint market that will be more competitive.